(Travel) COMPLETE GUIDE - Places to go in Kunming, China. 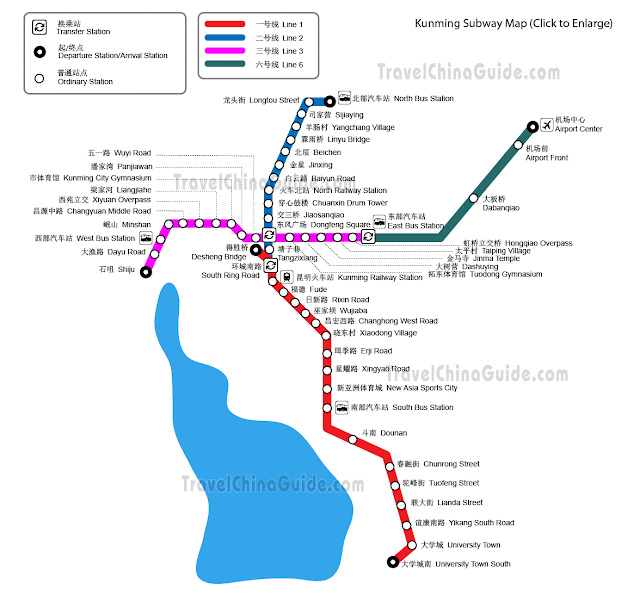 Secondly, below is the Subway map if you plan to travel with subway but trust me, it is not as convenient as you thought due to the lack of stations. But, they are actually building more subway stations now. Bet the subway would be more useful in the future. It's a place for the locals to get their pets. 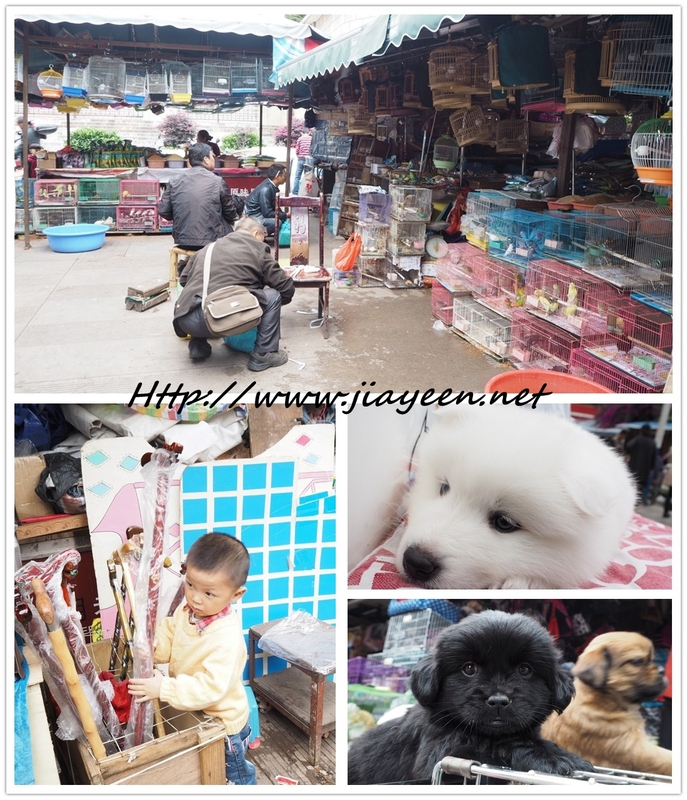 Dogs, puppies, rabbits, tortoises and more. 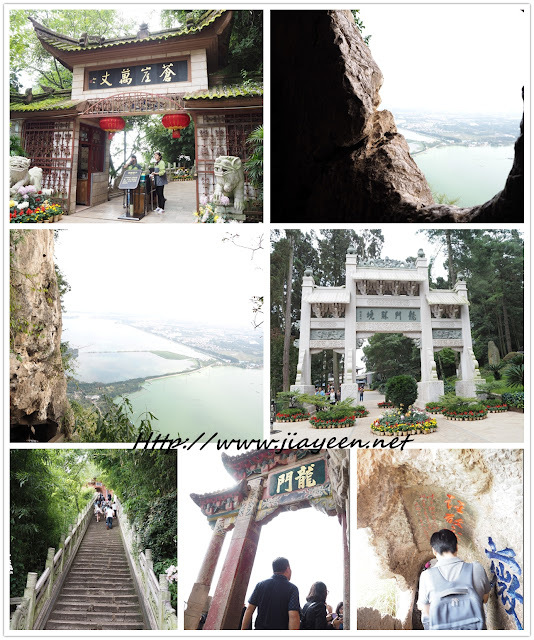 It is not the largest lake in Kunming but the most popular one. You will get to see indigenous people dancing and singing during weekends or locals/foreigners jogging around the lake. A good place for you to walk around and sniff in the fresh air. 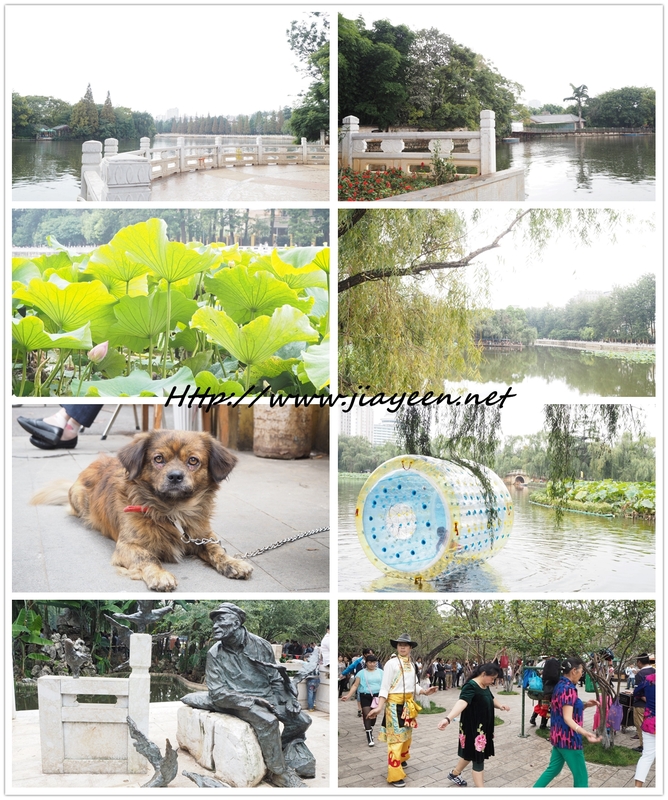 Located on the west side of Wuhua Hill and facing the main gate of Yunnan University, the Green Lake Park, or Cuihu Park, is a beautiful urban park nicknamed the "Jade of Kunming." Its history can be traced back to the 17th century. Divided into five sections, the park features lakes, islands, pavilions, ponds and bridges. The best season to visit the park is winter, when flocks of red-pecked seagulls migrate here to escape the Siberian chill. It is an excellent place to have a picnic, go for a stroll or take a boat across the lake. No word can describe the beauty of this cave but be aware that you might need to climb/ walk 2,000-3,000 steps up and down in the cave. 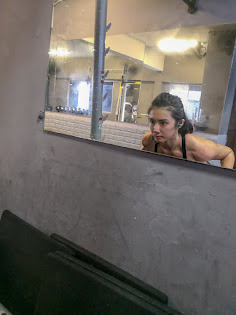 Trust me, definitely worth your calories burn. For another time, I am in love with this beautiful scenery. 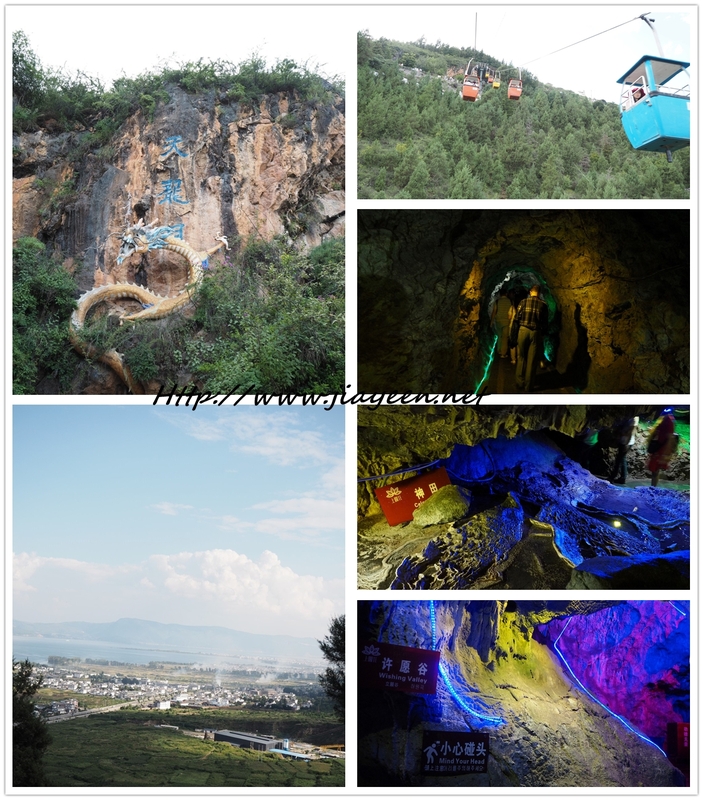 Located 90 kilometers (55.92 miles) from Kunming City, Jiuxiang is a scenic area famed for its striking karst caves, beautiful natural landscape, deep valleys, magnificent underground scenery and enchanting ethnic cultures. Covering a total area of around 200 square kilometers (20,000 hectares), the area contains more than 100 karst caves, going back some 600 million years and making it the biggest cave cluster in China. 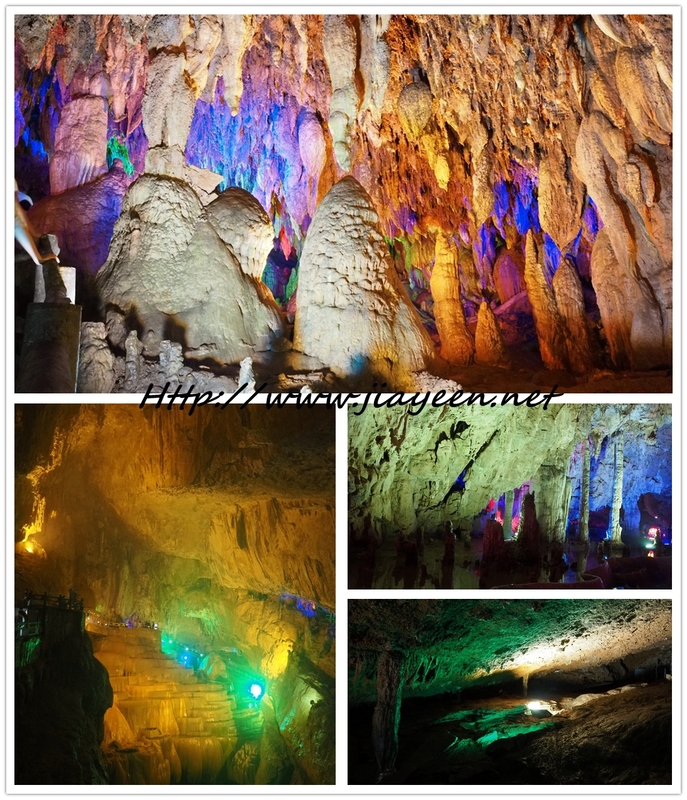 It is reputed to be "a karst cave museum." With a mild climate all year round, visitors can enjoy the beauty of the area at any time of the year. 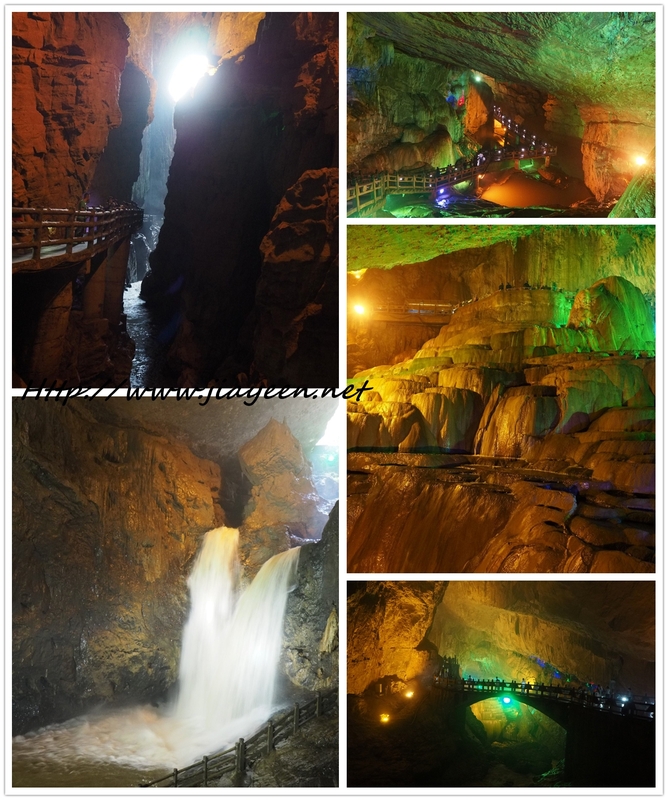 The five major scenic spots across the area include the Triangular Caves, the Overlapping Rainbow Bridge, the Upper Big Cave, the Long Sandy Bank and the Bright Moon Lake. Kunming, capital of stunning Yunnan Province, is famous for its first-rate natural scenery, among which Shilin, literally "Stone Forest," is the most famous one. 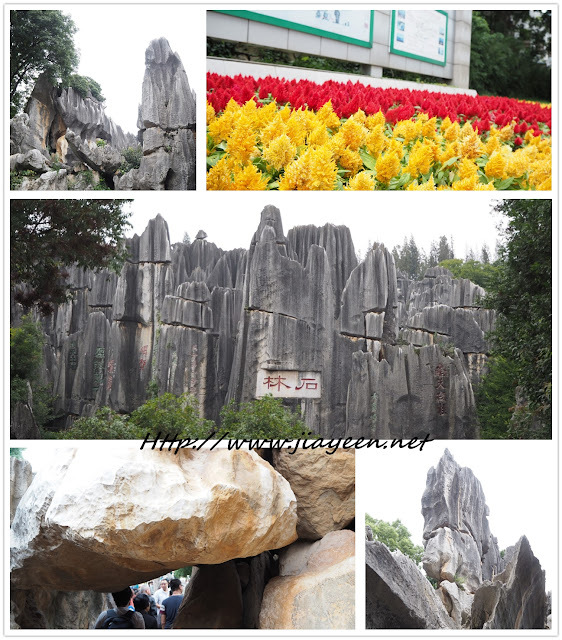 As "One of the World's Natural Wonders," the "Stone Forest" features natural karst stone formations that resemble a forest; some are elegant, some are rugged, but each has its own distinguishing characteristics that make them seem lifelike. The tall rocks protrude from the ground much like stalagmites or even petrified trees, creating the illusion of a forest completely carved out of stone. Every year, around the 24th and 25th day of the sixth lunar month, the people of the Yi Ethnic Group celebrate the Torch Festival, which features traditional Yi folk dancing and wrestling competitions. To me, once to Stone Forest is good enough or maybe I don't know how to appreciate the beauty of stones. Dragon Gate is located on top of Western Hill. A spot to have a full view of 滇池 DianChi Lake. Yes, it involves climbing up and down but not from the bottom of the hill. You can either opt for hiking up the hill OR a shuttle bus. Located on the northern shore of Dianchi Lake, Kunming City, the Yunnan Ethnic Village showcases the culture, lifestyles and customs of the ethnic groups living in Yunnan Province. Thus far, 25 sub-villages of the minorities such as Dai, Bai, Yi, Naxi and Zhuang, have been constructed across the 1,264.96-mu-wide (84.33 hectares) scenic area. 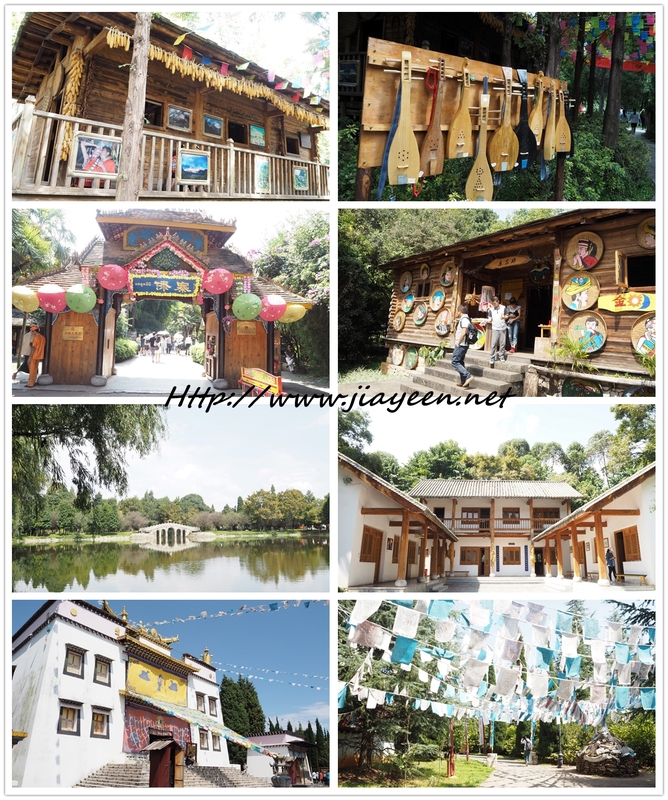 Visitors can learn more about the various cultures, architecture, music and religious beliefs of these ethnic groups, while enjoying the scenery and landscaping of the scenic spot. They can also choose to take part in all kinds of activities and festival celebrations or have a taste of the village's local food. Do you know Yunnan is a province with the largest amount of indigeneous people? 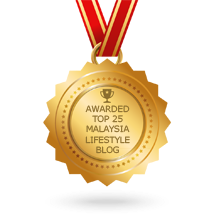 This is a good place for you to get to know more about the indigenous people. Their culture, their beliefs, their food and more. Keep in mind that this place is huge. Don't lost your way here as it will take you forever to walk back to the entrance/exit. A must-go photo taking spot at night. Are you surprised that a university is a famous spot for photo taking? It is the oldest university in Yunnan. That explains well about the old and vintage buildings around the university compound. DO NOT STEP ON the grass as someone will shout at you in local dialect. Yes, he shouted at me but I don't understand. Everywhere seems to be a perfect spot for pictures. Nonetheless, other than Kunming, I went some of the other two places in Yunnan province as well. 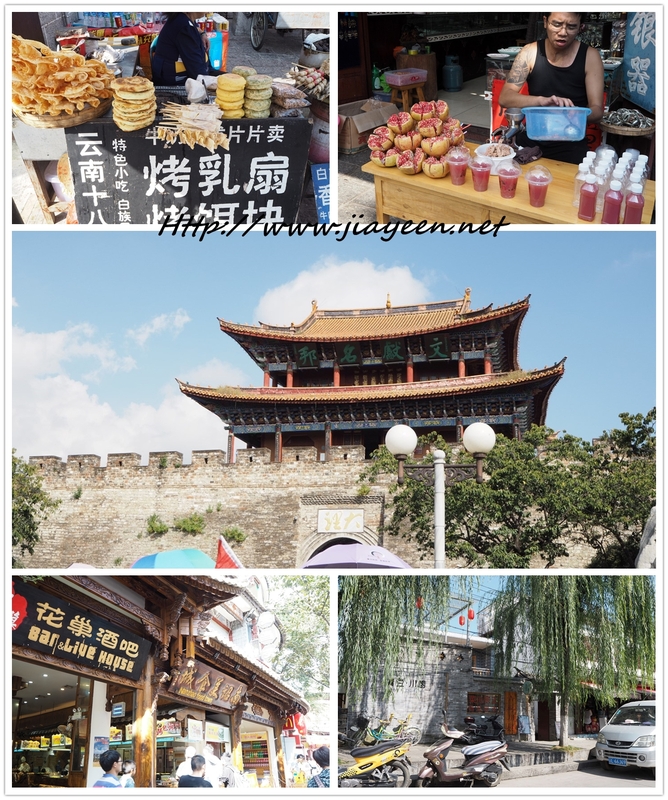 You will see freshly squeeze Pomegranate juice bottles within the compound of Da Li Ancient City. Usually selling at 10-15 yuan. Anywhere is a good spot for pictures! 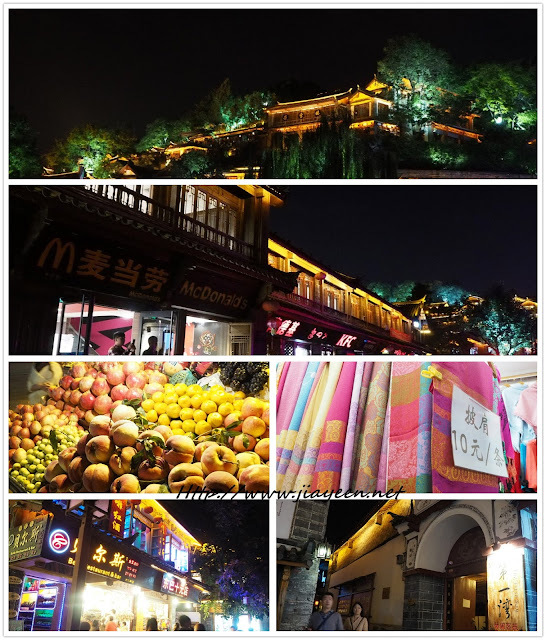 Some of the souvenirs are from Kunming. My advice: Do not buy flower biscuits from here but you may buy small accessories if you like them. Why is it called as Ocean? It does look like ocean. The colour, the calmness, the view. A must-go photo-taking spot for single people, couples, families or etc. 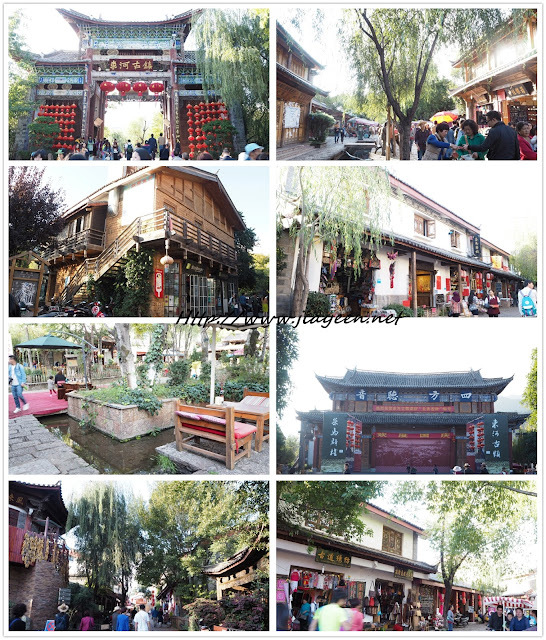 If you are into the story of Xiao Long Nv and Yang Guo, this is a place you must visit. Yes, we were riding on the horses to the lake from where the tour bus dropped us. If you really really dislikes riding on a horseback, you may request for shuttle bus but it definitely defeat the fun. 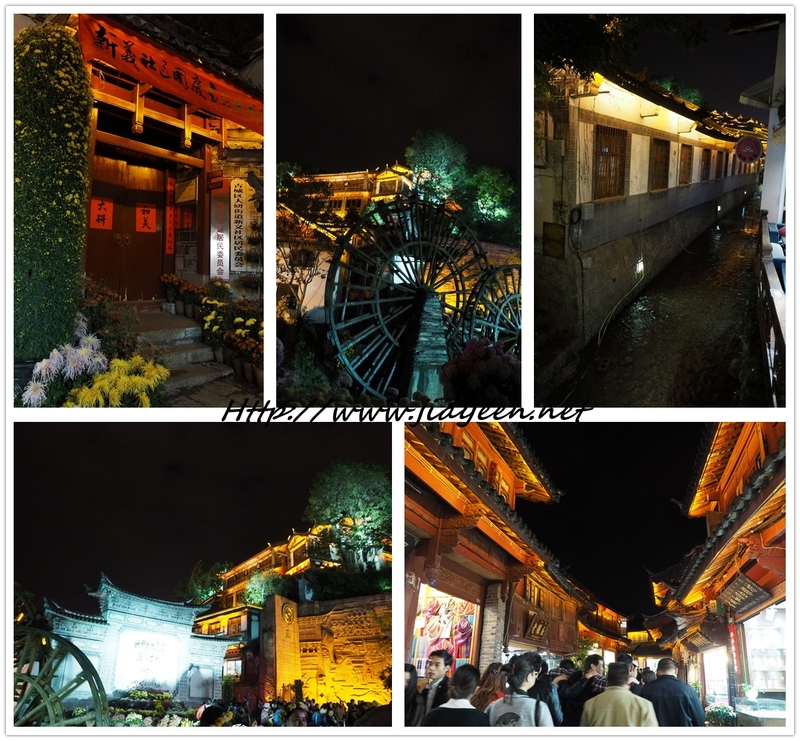 While riding on a horseback, you get to enjoy the fun and awesome view of the original Li Jiang. Somehow.....the horses in Li Jiang are smaller in size. They are not as small as ponies but smaller than the normal horses. Don't worry, they are very gentle but a little naughty. The horse ride will bring you to where the "jetty" is located at. 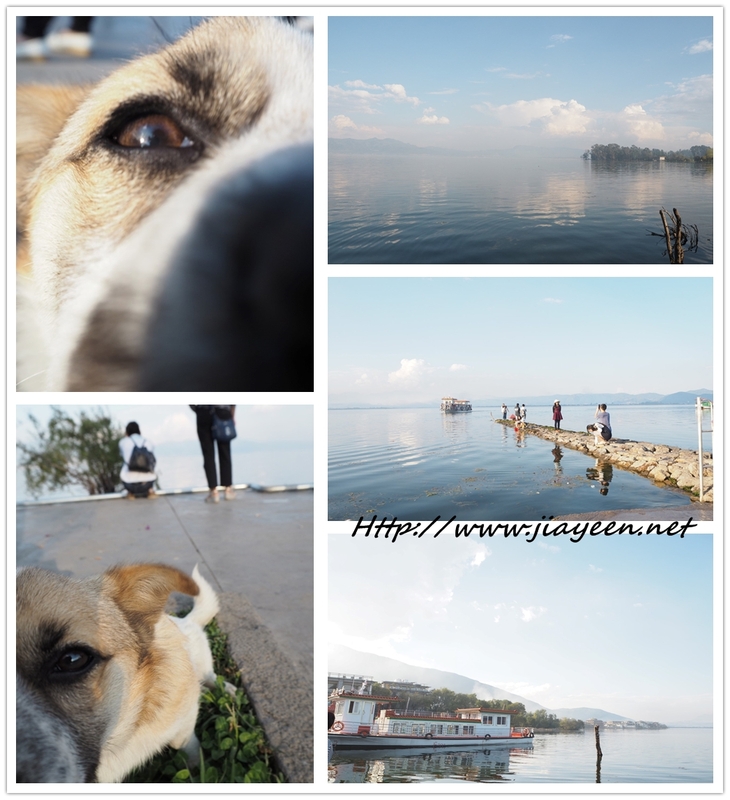 We continued our journey with boat ride to enjoy the beauty of La Shi lake. It is just like another Macau shopping area, except for the nice night view. Don't just buy anything and everything. My advice: If you are keen in accessorizing yourself, you may purchase some accessories from here. Scarfs are worth buying as well. Generally, it is just the smaller version of Da Li Ancient City. 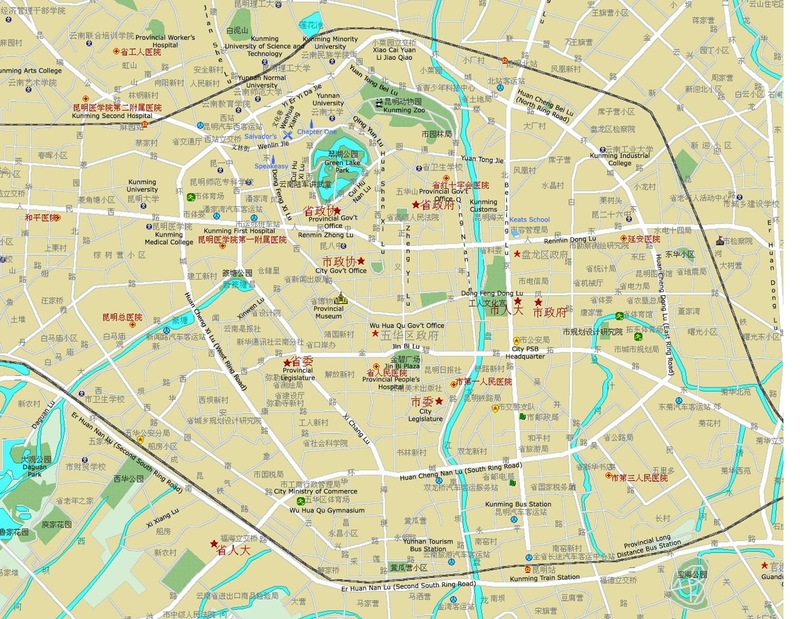 This street is very near to Da Li Ancient city. This street is full of.....BLACK MUTTON STEAMBOAT! Hmm....taste wise was just alright. Nothing to shout about but definitely suitable for this kind of weather. This is the shop we chose because more people were dining at this shop. Sigh. We are just typical consumers. Option #2 - I opted for local tour packages since I can communicate well in Mandarin. You can find the tour agency everywhere in Kunming with the name of "康辉" as this is the most reliable tour agency (as told by my local colleague) but mindful that you will surrounded by local tourists. I opted for this mainly because it is the most affordable option to travel around as the entrance fee for some places are not cheap. 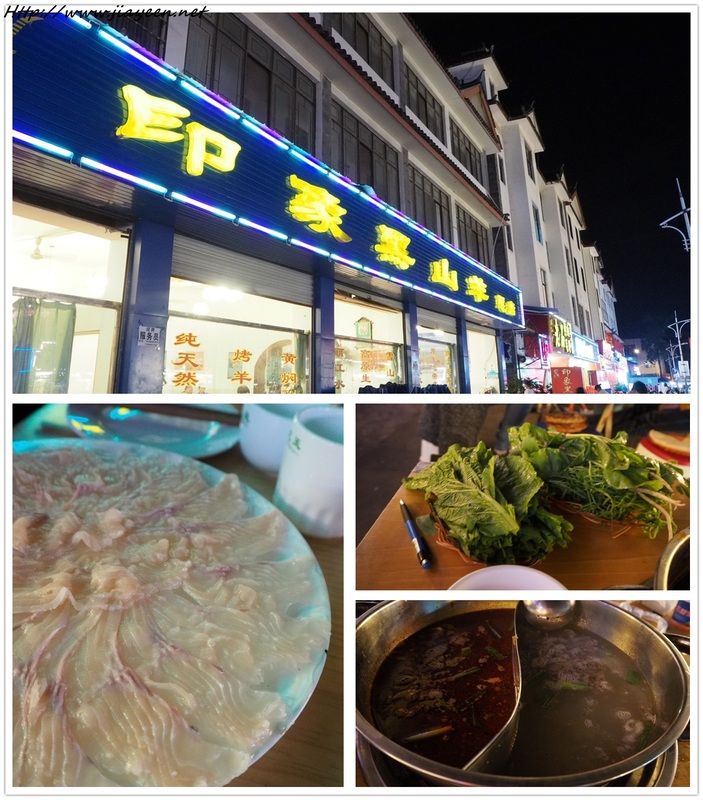 Stay tuned for next two posts for "WHAT TO EAT" and "TIPS TO TRAVEL IN KUNMING"!! !